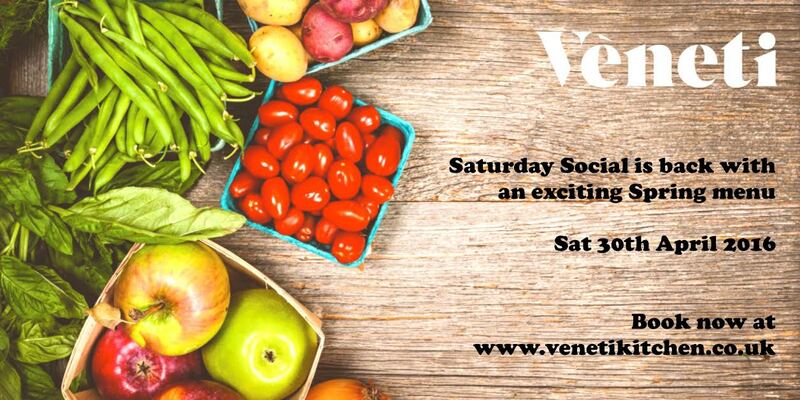 The Veneti Venetian supper club is back for an April dinner at the Palm2 Event Space in Clapton E5 on Saturday 30th April. This time the theme is springtime, with early season asparagus, wild rabbit ragu and more. Tickets are £10 to reserve your place, plus £30 to be paid on the night. "Spring is here! Very exciting times when British ingredients is what you use and there were fewer happier people than the farmers of Veneto at this time. The leaner times are finally over and we are going to celebrate these farmers, as usual Venetian style! Take a look at our menu, its fresh, original and delicious, we're certain there'll be something you haven't tried before. Pay £10 to reserve your ticket through Billetto then £30 per person on the night gets you everything below! Venetian barrel sourced wine available to purchase on the evening, all at the amazing Palm2.